North Texas is home to a lot of foundation problems, and not all of them are due just to long stretches without rain. Instead, a lot of the cracks and settling are caused by the soil in the area. Allen, Texas, is in the Texas Blackland Prairie region, which has a lot of hard, black clay soil. Different stretches of the city are home to small pockets of slightly loamy or sandy soil, but underneath that is more clay. How is clay soil hurting your Allen home’s foundation? Concrete foundations are essentially a single shelf of concrete in the soil. When part of that soil drops away or pushes up, then the entire weight of your home is supported by just part of that foundation. 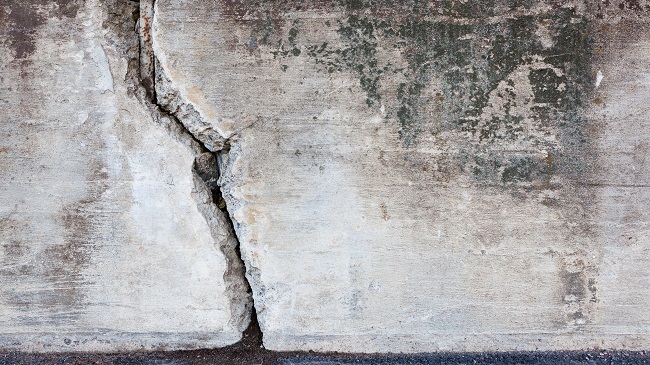 That added stress is what makes cracks — especially diagonal cracks — appear in your foundation. It can contract a lot during droughts. Some soil will shrink back more than the surrounding pockets under your foundation, and that destabilizes the slab. When the dirt doesn’t fully surround your foundation’s edge, water from the next storm can shoot down the gap and pool under your house. The soil rapidly expands with water. Once the rain comes, the soil will immediately absorb as much of it as it can. This can shift your foundation due to the rapid movement. It can also cause the same destabilization in reverse, as previously parched soil swells. If you notice that the soil is pulling away from your walls or that your foundation is developing cracks, schedule an inspection. Our team can help recommend the best ways to keep your foundation safe in black clay soil.